Julia awakes on a summer day to what seems like a normal Saturday. It only takes a few minutes for everything to change dramatically. The news stations suddenly have breaking news to report: the days are getting longer. It’s only by a few minutes, but scientists are reporting that it’s indicative of the earth’s rotation slowing down. As The Age of Miracles goes on, the situation quickly becomes more dire. As the days go on, the idea of a 24 hour day becomes a distant memory. The daylight hours stretch on for days, to be followed by long bouts of darkness. The government decides to go ahead and stick with “clock time”, meaning that people are expected to live by the 24 hour clock regardless of whether 3am falls in the middle of the day or noon is smack dab in the middle of the night. Conflict arises when some citizens decide to go by “real time”, meaning they sleep when the it is dark and stay awake during daytime hours. There is a LOT of YA dystopian fiction out there. I think we can all agree on that. So it can be difficult for a debut author to step onto the scene and be successful. For that reason, I was kind of skeptical when I picked this one up. I was interested in the premise, so it was a matter of whether or not Walker could deliver. And guys, I am happy to say she did! 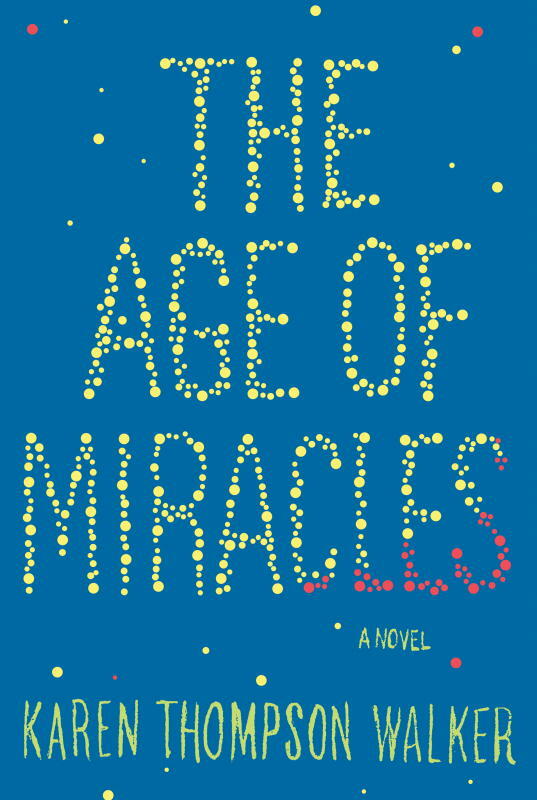 The Age of Miracles was wonderful. I could not put it down! There seemed to be a little something special about this book. It kept me rapt, which is typical for YA dystopian but there also seemed to be an additional weightiness to the text that I don’t always find with the genre. It almost seemed a little more realistic than what the genre typically offers. I urge others to read this one ASAP. It’s a great beach read because it will keep your attention from page one! I will definitely keep an eye out in the future for more from this author. 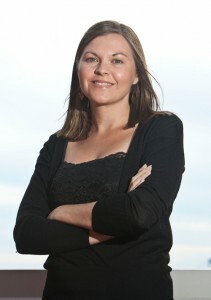 KAREN THOMPSON WALKER holds an M.F.A. from Columbia University and is an editor of fiction and non-fiction at Simon & Schuster. The Age of Miracles is her first book. For more information about Karen and The Age of Miracles, please visit the book’s website, www.TheAgeofMiracles.com, and Facebook page. The year is 2036 and a widespread virus has made anyone over the age of 18 infertile. Thus, the teenage population has the sole responsibility of reproducing for the rest of the population. Many teenagers are under contract, with many perks promised once they deliver a child. Melody is one such teen. She has a very promising contract but has yet to get pregnant as the couple that contracted her haven’t settled on a male donor yet. Meanwhile, Melody has just discovered that she has a twin. Harmony has grown up on a religious compound, so the world she is used to is quite different from the one Melody inhabits. She is visiting Melody in an attempt to convince her of her errant ways, but in turn, she is influenced by Melody’s environment. My plot synopsis is paltry at best, but I think Bumped is best experienced when you have little knowledge of what to expect. One element to be aware of though would be the slang involved in the text. It was overwhelming to me for the first 30 pages or so, and I was skeptical as to whether I would be able to overcome that. By the end, I had come to appreciate the vernacular and how it added to the climate of the story. Just be forewarned though that it can be a little difficult to ingratiate yourself. I have read other reviews that have an issue with the serious issue of teen pregnancy being somewhat glamorized and not seen with the gravity it demands. I certainly see the argument of that line of thinking, and I am not sure where I fall on that continuum. I can see how the novel could be seen as a bit distasteful but it is, after all, a work of fiction and in the end, my enjoyment of the novel wasn’t altered. Bumped is the first book in a series, which is problematic to someone like me who ultimately enjoyed the book so much that I want to immediately get my hands on a copy of the second book in the series. 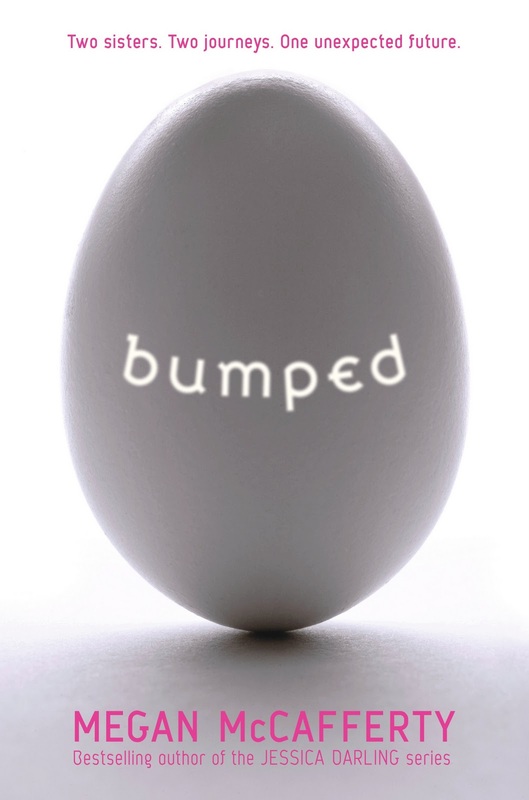 Bumped was just published last month so I am guessing we have a long wait. If you have any information on the second book, please let me know! I have tried to find more information, but have come up with nothing! Guy Montag is a firefighter. In the world he lives in, firefighters do not fight fires though, they actually start them. 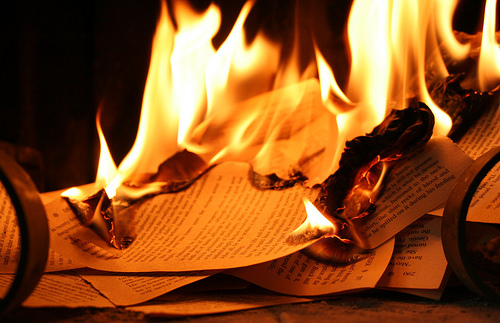 The government, in an attempt to control the population, has banned any written word, so all books are set afire. If neighbors or acquaintances suspect someone is harboring books, they will report them and the entire house will be immediately burned down. The world Guy lives in is so completely unbelievable–it actually reminded me of the movie Pleasantville with Toby McGuire and Reese Witherspoon, in the sense that the government is attempting to stop the flow of any emotion and feeling. Without those, no one cares enough to question any motives. Guy’s wife, Mildred, was the worst! She had her “family”, which were really the people on TV, and that was all she seemingly cared about. Shockingly, I was never assigned to read this book in school. I know it is assigned reading in a lot of high schools and I am so glad that that was not the case for me, because I highly doubt that I would have appreciated this book to the extent that I do reading it now, as an adult. I think any serious reader will appreciate this book. My husband was incredulous to find out how much I loved this book, seeing as he read over half of it and eventually put it down in disgust. I think, had he stayed with it, he would have seen the “big picture”. This book just stands for so much more than just the plotline. 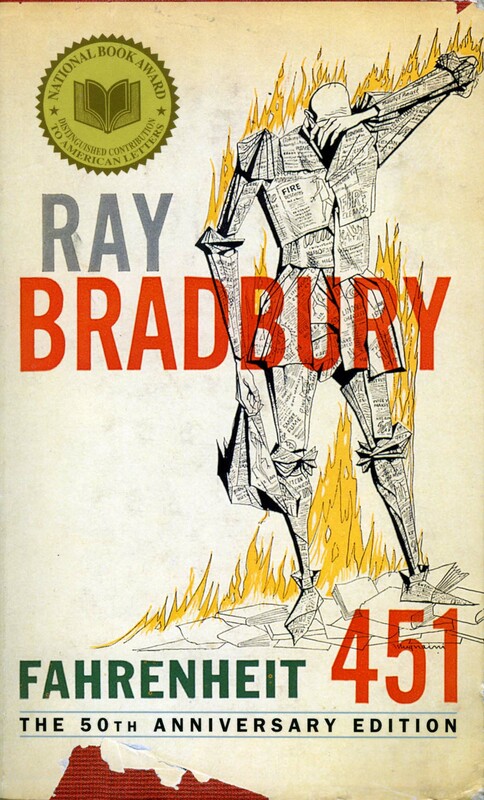 I didn’t intentionally read and review this book for Banned Books Week–it just kinda happened! I purchased this book . . . maybe from Target?